Special Uses: Aeronautic, Railway, Restroom... There are 23 products. 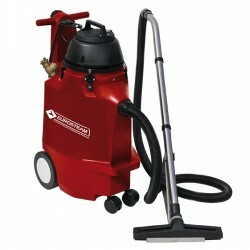 This vacuum cleaner sweeping dust 30L specifically used for cleaning soot and cold ashes. 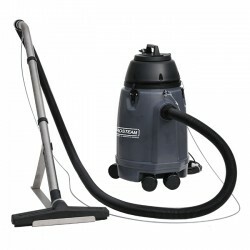 This specific dry vacuum cleaner to rail 16L is used for cleaning small surfaces narrow or difficult to train access. With a capacity of 7.5 L, this extractor equipped with a membrane pump is ideal for the cleaning works of small surfaces in aircrafts. With a capacity of 14 L, this extractor equipped with a membrane pump is ideal for the cleaning works of small surfaces in aircrafts. 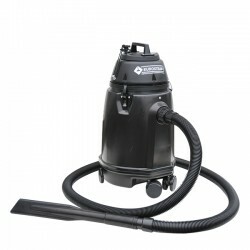 With a capacity of 60 L, the vacuum cleaner Fireman is equipped with a submerged discharge pump. With two large wheels at the back and two pivotable wheels in front, this unit is very easy to use. 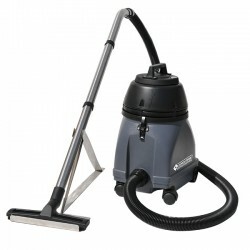 This specific wet vacuum cleaner to rail 30L is used for cleaning medium surfaces to train. With a small capacity this extractor is ideal for cleaning seats, narrow space in train. Equipped with a membrane pump. This trolley is designed for cleaning trains, metro, tram, bus etc… This unit is equipped with a large capacity injection extraction machine and an additional recovery tank of 60 liters, a solution tank and a winder with 30 meters hose. This dry vacuum cleaner with a capacity of 11.5 L is recommended for the cleaning narrow corridors and surfaces in aircraft. It's used with or without a paper bag. This wet vacuum cleaner with a capacity of 30 L is recommended for the cleaning narrow corridors and surfaces in aircraft. It's used with or without a paper bag. The mini scrubber is ideally suited for cleaning of small spaces or congested areas such as stairs, bathroom, toilet, kitchen, laboratory etc. 2 versions available with or without handle. The without handle version can be used for cleaning of horizontally or vertically surfaces. The version with handle and second hand is very easy to use without effort. This power brush is ideal for cleaning carpets in depth. It is an optional accessory of EUROSTEAM extractors. Made with high density rotomoulded polyethylene the light weight is an advantage for the cleaning and transportation in small areas.